The real estate sector has been awash with disruptive technologies significantly changing the consumer experience. Recent property focused startups, including Purple Bricks, Airbnb and WeWork, have revolutionised the way agents, investors, lenders, property owners, and managers engage with their customers to deliver an enhanced experience to the consumer. According to CBInsights, US$2.6 billion was raised by Property Tech startups in 2016, a 40% increase on the previous year in what is one of the fastest growing startup sectors. What is Charter Hall looking to achieve? “With a $19.8 billion national property portfolio across office, industrial and logistics and retail property sectors we want to build our understanding of disruption, how relevant it is to our business and how we position ourselves to take full advantage of future disruption to deliver better experiences for our investors, tenants, our people and the communities we operate in,” Mr Coleman said. “This process is very exciting as it will allow us to collaborate and diversify our thinking of innovation to be more responsive to challenges impacting our core sectors and how we offer solutions to our customers in the future,” Mr Coleman added. 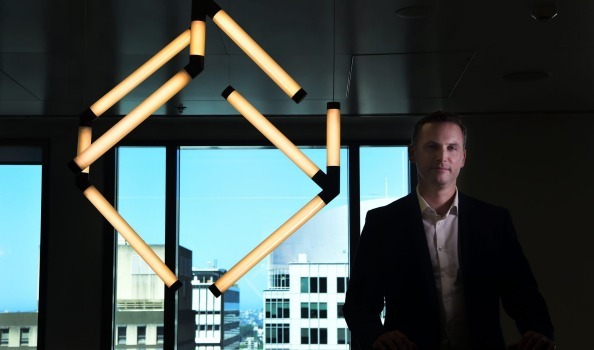 Collective Campus CEO Steve Glaveski said: “Property tech is one of the fastest growing startup sectors which is hardly surprising seeing as property and our relationship with and experience of it, whether that as buyers, renters, investors or agents, transcends every aspect of our lives – from where we work to where we eat, play, shop and live. “We’re thrilled to be partnering with a forward thinking and fast-moving company like Charter Hall to help identify and develop startups in this sector to ultimately go out and create value for us at home and in the workplace”. Mr Glaveski said. The Group, which manages one of Australia’s largest CBD office portfolios, recently launched another Australian first, teaming with US based company Comfy to provide its people within the office environment personalised climate control technology via an app on their mobile phones. In collaboration with its tenant customers, Charter hall is aiming to introduce this technology and others across its portfolio as part of its efforts to offer an integral suite of services that will assist the Group to provide a new level of customer experience.